Here’s the absolutely delicious recipe Sara and Dallin adapted and made for me on Mother’s Day. foil and place on baking sheet. Roast 40 minutes. Place olives in a bowl. Zest the lemons and spread over olives. Squeeze lemon juice over olives. Add remaining ingredients and toss. Place olives in single layer on baking pan and roast at 350 degrees F. 15 minutes. Remove roast from foil and let stand 10 minutes. 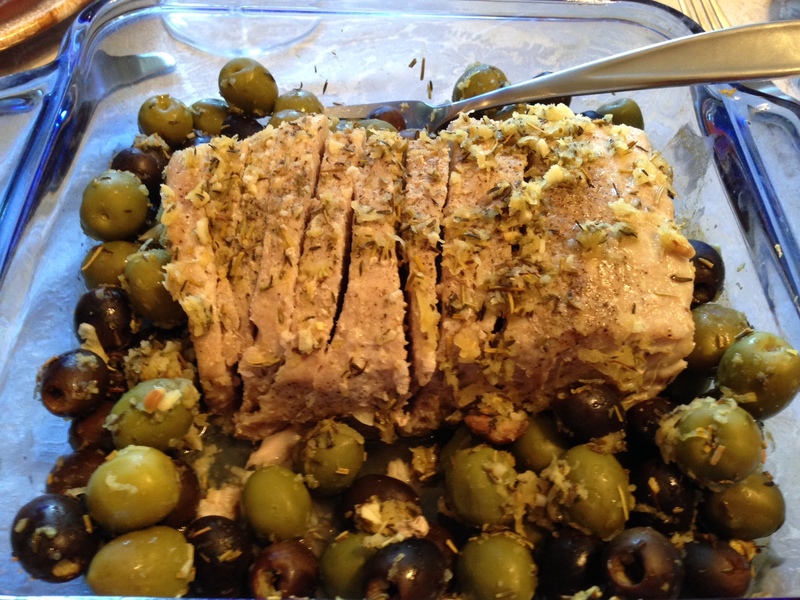 Slice meat and top with roasted olives. They served delicious sweet potato — peeled, steamed and then heated in lightly oiled pan with dried rosemary. So good.